And apparently, Kate Middleton would risk going insane in the "goldfish bowl of the Royal Family" if she did not have one particular thing keeping her of sound mind. Being a Royal may not be as easy as it seems. Even if Meghan Markle and Kate Middleton make it look effortless, a lot of effort seems to go into Royal duties. And apparently, Kate Middleton would risk going insane in the "goldfish bowl of the Royal Family" if she did not have one particular thing keeping her of sound mind, a throwback documentary claims. Being the Duchess of Cambridge come with its own scrutiny and after a while, it can take its toll on a person's mental health. 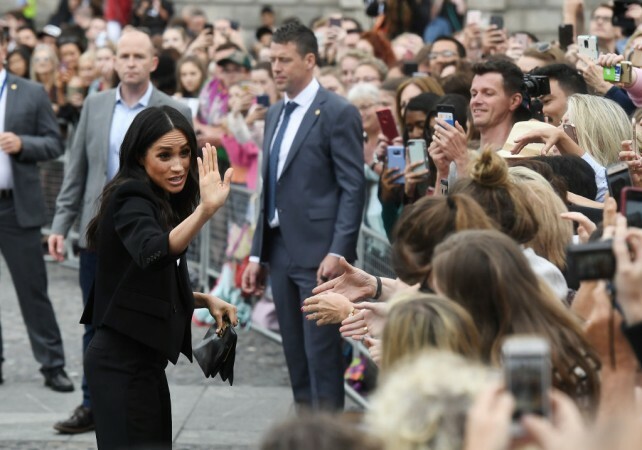 According to 2018 documentary "Meghan and Harry: The First 100 days", things must get overwhelming for Kate at times, but there is one particular thing that is keeping her of sound mind. Royal author Duncan Larcombe claimed that the Duchess of Cambridge's "motherhood role" is what is helping her remain "sane in the goldfish bowl of the Royal Family." Children are usually the reason mothers go crazy after a while, but it seems that Kate Middleton's supposed tenuous grasp on sanity is thanks to her children. Maybe Meghan Markle too will come to rely on her baby. Meghan Markle is due to give birth in April. Preparations are being made for the arrival of the baby Royal. Maybe Kate Middleton as a new aunt can give pointers to Meghan Markle, because at the end of the day, feud or not, they are family. Kate Middleton and Meghan Markle may very well call a truce and tend to the children along with their other Royal duties. We have to say that if Kate Middleton and Meghan Markle do decide to play nice, it will indeed make the Royal Palace a much more sane environment.